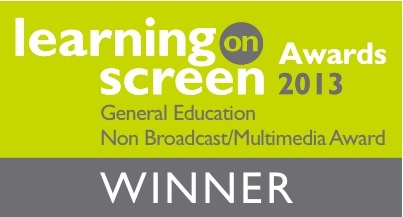 The Curzon Memories App won a Learning on Screen Award for best General Education Multimedia project. The winners were announced at a formal awards ceremony at the BFI Southbank, London on April 18th 2013, introduced by Shami Chakrabarti (Liberty), followed by a networking reception. It was a wonderful event which enabled people who had contributed memories to come together to celebrate the cinema, watching edited sequences of memories on themes such as Stars, Audiences, Saturday Morning Pictures, Working at the Curzon, World War 2 and hearing about how the Community Cinema came to be set up by Jon Weber when the cinema was in danger of going under in 1995. Memories were a mixture of videos gathered by Education Officer Cathy Poole and me and audio memories gathered by Curzon Trustee, Cathy Mackerras. Maurice Thornton projected pictures in the miniature cinema and there was an opportunity to visit the Curzon Collection. It struck me what an important role the cinema has played in the cultural life of the town, as well as the range of different experiences and memories it evokes – snogging in the back row, sneaking in the back via the toilets, dancing in the aisles. As the cinema reaches the end of its centenary year, here’s to another 100 years of cinema-going in Clevedon under the new directorship of Gary Topp. Really excited to be invited to the Curzon Memories Celebration Day on Sat 20 April. All those who have given us their memories of the Curzon are invited to view a programme of films and audio pieces created from these interviews. This event, which begins at 10.30, is invitation only; please contact delphine@curzon.org.uk if you would like to attend. 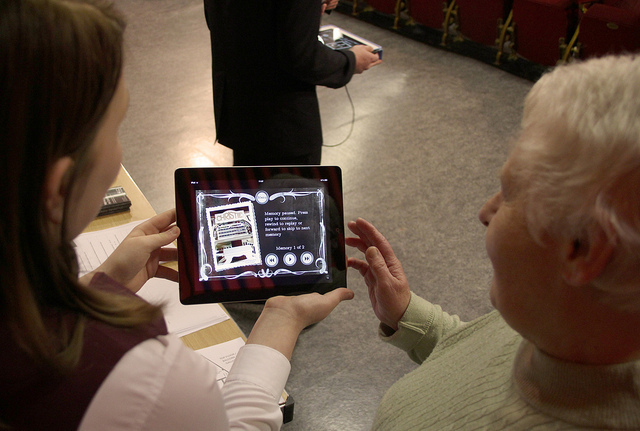 However, The Curzon Collection is also open to the general public all day, from 11am and there will be an opportunity to try out the Curzon Memories App throughout the inside and outside cinema and also have a go on Projection Hero. 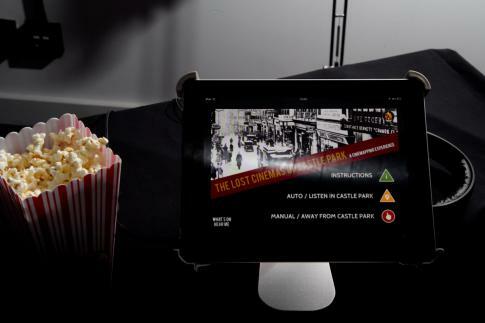 From the makers of the Curzon Memories App, comes The Lost Cinemas of Castle Park, a new app celebrating over 100-years of cinema-going in Bristol city centre, now available from iTunes. The app covers 16 cinemas in and around the park, from the first moving pictures screened at the Tivoli, Broadmead in 1896 to the present day. To launch the app we’re having a celebration on Sunday 24 March – the anniversary of the opening of Bristol’s first purpose-built cinema, The Queens Picture House in 1910. The launch will kick off at the Bandstand in Castle Park at 3pm with the chance to try out the app, educational activities for children designed by Local Learning and cinema memory gathering. After the Intermission we’ll regroup at sunset, 7pm, for a pop-up cinema solar-powered cinema screening of Mad About Music (1938) – the first film to be screened at the Odeon, Union Street, the only cinema featured in the app still operating today. A contingency venue in case of bad weather has kindly been provided by the nearby Marriott Hotel (the location of the Europa Cinema which also features in the app), in the first floor Consevatory. The app is compatible with iOS, iPhone, iPod Touch and iPad. We will also make a demo version available on Android phones for the launch. A limited number of handsets will be available if you don’t have a smartphone. Select the appropriate ticket when you register. 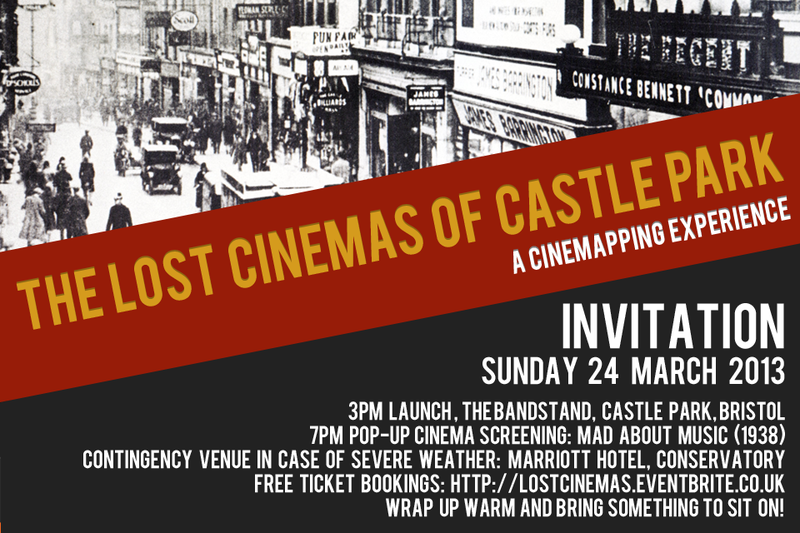 Register for your free ticket at: http://lostcinemas.eventbrite.co.uk or email me if you require any further information. 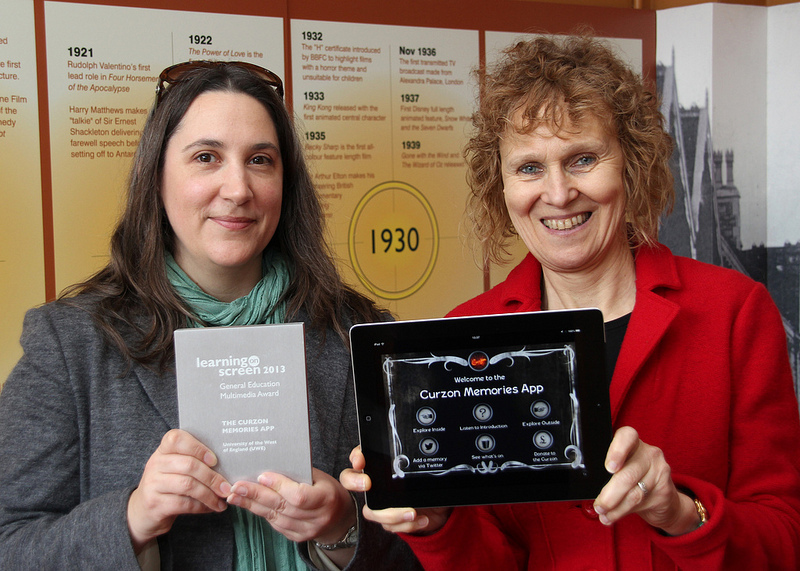 The Curzon Memories App has been nominated for a British Universities Film and Video Council Learning On Screen Award 2013 in the category of General Education Non-Broadcast / Multimedia. The awards ceremony is taking place at BFI London from 5.30pm on Thursday 18 April, followed by networking and a canapé reception. Very honoured to have been nominated and excited about the canapés. You can book tickets here. I’ve uploaded the slides on Slideshare if you missed it (please be aware that this is a pdf whereas the presentation itself was all-singing and all-dancing including audio extracts from the apps, although where possible I’ve linked to videos and other content online). I’ve also posted a review of the recent Besides the Screen conference (Goldsmiths (1-2 Dec) on the DCRC blog, including an audio link to my keynote at the end. …and for my next gig I’m presenting a poster on the City Strata project at MeCCSA 2013 in Derry, which is also hosting the UK City of Culture 2013 – no peace for the wicked! 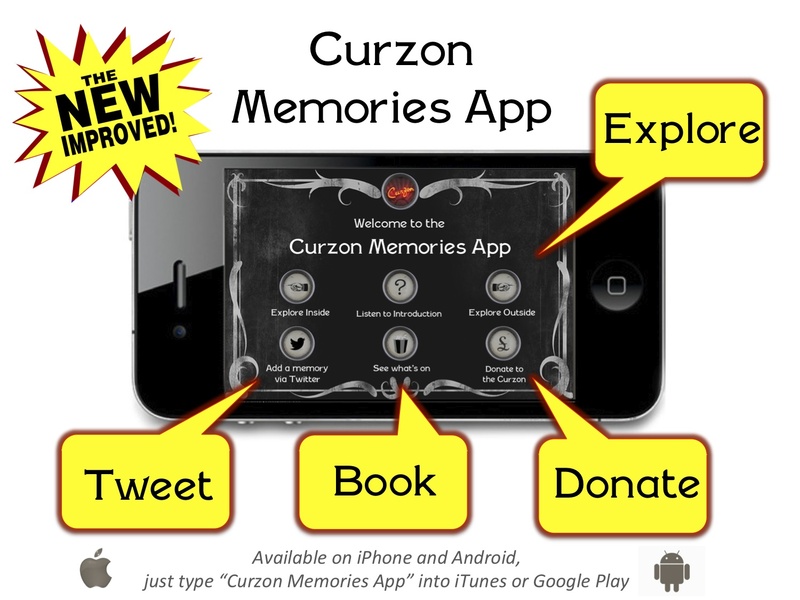 The Curzon Memories App has recently been updated with several new improved features – including the ability to add your own cinema memories or comments via Twitter, donate to the Curzon’s restoration fund and link to the Box Office where you can now book tickets online. So why waste time typing in a URL, when you can just open the app and see What’s On? Available on Apple iTunes and Android Google Play. Since launching the Curzon Memories App in March 2012 I’ve been busy working on another cinema-related project as part of the Arts and Humanities Research Council REACT Hub ‘Heritage’ sandbox, which might be of interest. The City Strata project was a collaboration with creative economy partner, Jo Reid of Calvium (the tech company behind the Curzon Memories app) and Peter Insole from the Historic Environment Record at Bristol City Council. The City Strata platform enables developers to create different heritage ‘layers’ or ways of experiencing the city, that their users can then enhance by uploading their own content. Behind the scenes, the platform innovates by drawing content that relates to your specific location from a remote geo-database – in this case BCC’s Know Your Place historic ArcGIS map. By storing content in ‘The Cloud’ more information can be accessed locally than can fit into a normal app, making it scalable for multiple urban, national or even global points of interest. 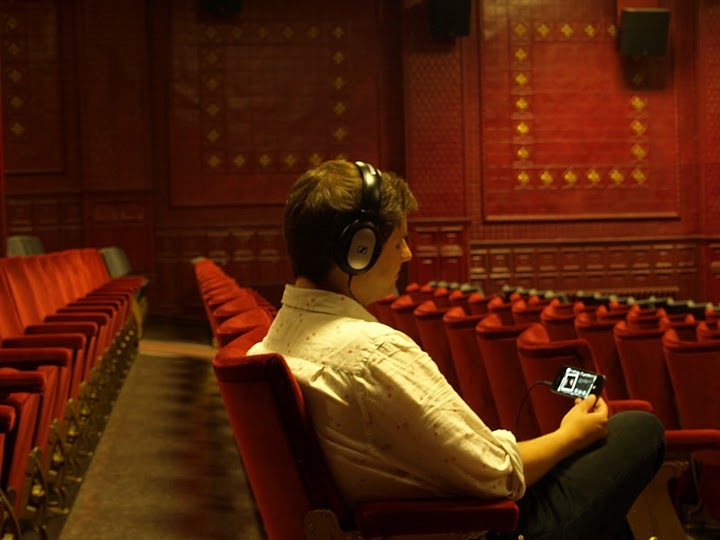 The platform was developed via the Cinemapping prototype, which maps Bristol’s historic cinemas, so that users can experience local cinema history in the places where it actually happened. As part of the 3- month rapid-prototyping REACT ‘Heritage Sandbox’ process, the City Strata team undertook a series of pilots and R&D tests. We aimed to test two elements, the single point of interest which we piloted at the Whiteladies Picture House and multiple points of interest which we piloted in and around Castle Park, exploring how to cache multiple hotspots and whether iOS push notification could be used to alert users of nearby cinemas. The Sandbox process resulted in a white paper on ‘Making Scalable Location-Aware Apps’ and a poster outlining the research process which was presented at the REACT Showcase event at the Watershed at the end of September. You can watch a video of the keynote by Charles Leadbeater and the panel discussions with the REACT participants here; read more about the project and watch a short video here; and a press pack about the whole Heritage sandbox scheme is available here. I am now continuing to work on the ‘Lost Cities of Castle Park’ App which spans over 100-years of cinema exhibition from the first moving pictures screened at the Tivoli in 1896 to the still extant Odeon which has been screening pictures since 1938. The app covers 13 cinemas in and around the park and I’m aiming to launch the app later in the Fall to coincide with the anniversary of the Blitz which destroyed the magnificent Regent in November 1940. Watch this space.